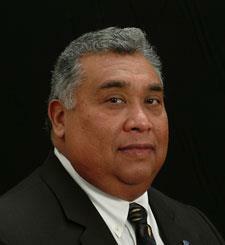 Richard Arevalo is a second generation Texan; a native of San Antonio. Richard served in the United States Air Force during the Vietnam War and was honorably discharged after four years of active service and two years of inactive reserves. A 1973 Vietnam Era Veteran Richard returned to San Antonio and began a career in the Oil Industry with a Fortune Five Hundred Corporation as an Accountant. After 12 years as a Supervisor in the Transportation Accounting field and the looming “energy crisis” of the mid 1980’s, Richard decided to focus his energies in the Real Estate Industry. After 34 years as a Real Estate Practitioner and Broker; with 27 years dedicated to REO servicing, Richard founded RVA Asset Management Group, REALTORS in 1994. The company is currently enjoying it presence in the San Antonio Market Place as the Premier locally owned REO provider and sales leader in the city. Jeanne Black Arevalo brings to RVA Asset Management Group, REALTORS her love of teaching and her experience as a professional counselor. Jeanne graduated from college with a degree in English with minors in Spanish and Secondary Education. She taught high school English before earning a Master Degree in Educational Psychology with a certificate in Special Education and specializing in working with the Emotionally Disturbed. 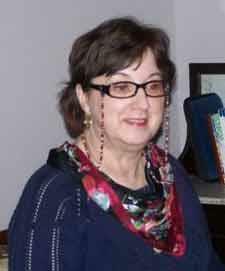 Jeanne also has experience in office management and training. "All of my life experience brings me to this point in life. I am dedicated to helping others achieve their dreams and goals and have the training and interpersonal skills to help make this happen." Jeanne tasks at RVA Asset Management include BPO Analysis, Analyiticals, HOA contact, management, utility coordination, reimbursement tracking and numerous office management duties. Jeanne is an tremendous asset to our firm and her leadership and inspiration are highly valued. Pam is a Texas licensed real estate agent and is a member of SABOR, TAR, and NAR. Pam works as a buyer's agent and listing agent and has been successful working with investors looking to enhance their porfolios. Pam currently works with first time homebuyer requiring her professional assistance in finance with FHA, VA and Conventional loans. Her expertise with rehab, remodeling and financing for distressed and remodeled properties has given Pam an edge when providing the necessary tools to get the job done and the sale closed. Please call Pam for assistance in those areas of real estate; she will be happy to open doors for you and your family.